Dolphins is a cosy 18th century fisherman's cottage tucked away in a quiet lane in St Mawes and yet only 50 metres from the beach and close to all the village amenities and ferries to Place, Falmouth and Truro. 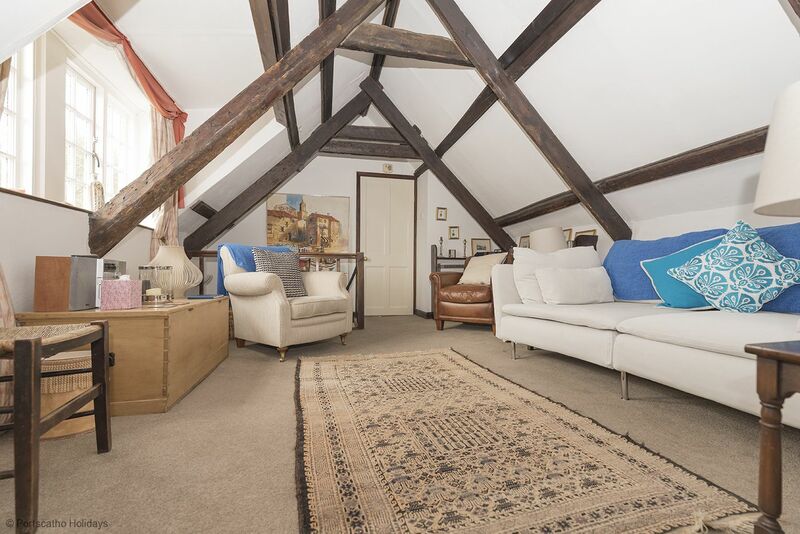 The cottage is nicely presented, with traditional beams and views to the Carrick Roads, St Mawes and Pendennis castles from the first floor sitting room. The small porch leads to the kitchen/dining room which is well equipped and includes a washer/dryer . Upstairs, alongside the sitting room are two bedrooms, a double (with stained glass windows) and a twin bedded room (2'6" beds) with glimpses of the Percuil river. There is also a family bathroom on this floor with an over-bath shower. Night storage heaters throughout make this a cosy cottage. Parking is available 50 metres away during November to Easter(overnight at all times). Further parking is available on the quay or in the main car park a short distance away. Dolphins - 174944 Dolphins is a cosy 18th century fisherman's cottage in St Mawes sleeping 4. Only 50 yards from the beach. close to ferries to Place, Falmouth and Truro. "Good base in St Mawes. Bathroom is a bit cramped if you are 6ft or over. Very limited mobile phone signal and WiFi not accessible during our stay. Kitchen well equipped and bottle of bubbly for the New Year was a thoughtful touch." "A fantastic cosy stay in a great location. 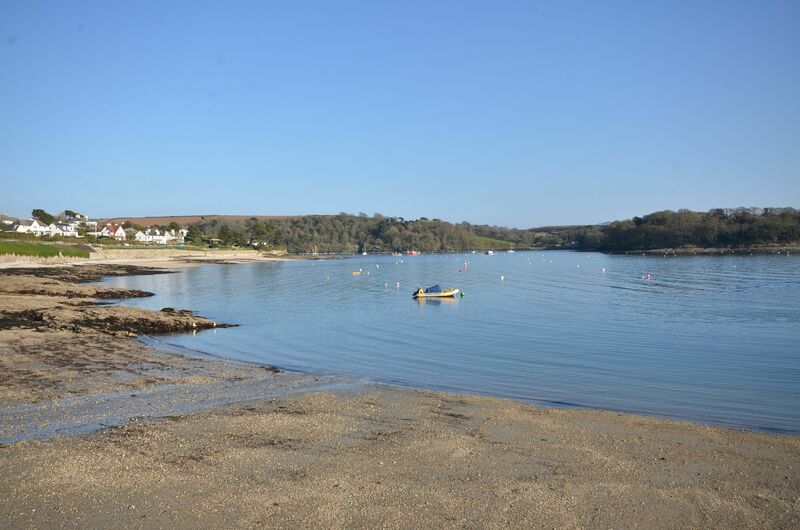 We loved St Mawes and the surrounding areas. Plenty to do. Would love to come back "
"We had a lovely holiday at dolphins,the cottage was lovely very well equipped comfortable and clean . Situated a stone's throw from the sea wall and shops . Even though our stay was out of season we still enjoyed the peace and tranquillity of it all, and we would defiantly stay there again . "